There are many ways to get started volunteering at Holy Cross. Because of the family-sized nature of our church, there are few ‘anonymous’ ways to enter into the work of the church. All groups are small, yet focused. 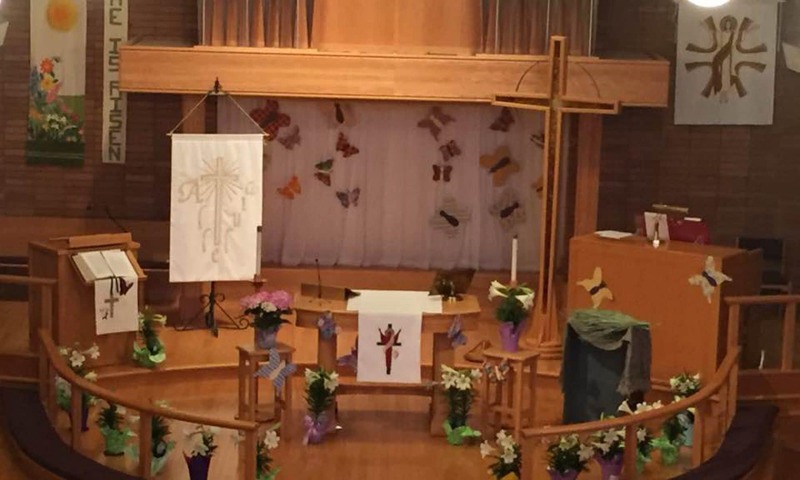 When you attend Holy Cross, you will hear announcements in church, or see an email blast from the office with coming events, and ways to connect. Call the office or just show up at any of these events, and you will be warmly welcomed. Even better, if you see someone at Holy Cross who is volunteering in a way that resonates with you, ask if you can join them. The more the merrier. “A Rising Tide Lifts All Boats”- we all benefit when more are able to care together.